يقع في Melbourne CBD, أدينا للشقق الفندقية، ملبورن - شارع فليندرز إنه المكان الأنسب لاكتشاف ملبورن و ما يحيطها. إن موقعه الجيد الذي يبعد 0 km فقط عن مركز المدينة يساعد النزلاء على الاستمتاع بمعالم المدينة ونشاطاتها. سوف يعشق النزلاء موقع هذا الفندق، فهو قريب من أهم المعالم السياحية في المدينة كمثل Ernst & Young Building, جابرئيل بيزي, Flinders lane Gallery . إن أدينا للشقق الفندقية، ملبورن - شارع فليندرز حريص على توفير الراحة للنزلاء، فلا يوفر الموظفون جهداً في تقديم أفضل الخدمات وضمان حسن الاستقبال. هذه بعض الخدمات الموجودة في هذا الفندق: واي فاي مجاني في جميع الغرف, مكتب الاستقبال على مدار الساعة, مرافق مخصصة لذوي الاحتياجات الخاصة, تسجيل وصول/خروج سريع, تخزين الأمتعة. لقد جهزت هذه الإقامة الفندقية بعناية فائقة لتوفر مستوى عالي من الراحة. في بعض الغرف يجد النزيل تلفزيون بشاشة مسطحة, اتصال لاسلكي بالإنترنت, اتصال لاسلكي بشبكة الإنترنت (مجاني), غرف لغير المدخنين, مكيف هواء. إن مركز للياقة البدنية, تدليك هو المكان الأمثل في الفندق للاسترخاء وتفريغ طاقتك بعد نهار طويل. إن أدينا للشقق الفندقية، ملبورن - شارع فليندرز هو مكان مثالي للمسافرين الذين يتطلعون إلى الراحة والاستجمام في ملبورن. 2 bedrooms , very spacious. Stayed for 4 nights , 2 nights self cooked . Great fun to cook & chat chat chat afterwards. Stayed at the Loft Warehouse Apartment. Big and nice. Everything works well n it’s great. Note. Loft Warehouse has no lift access. I carried my luggage up several flight of stairs. The access door is along an alley away from main hotel. If u don’t like lifting heavy bags up flights of stairs, the loft apartments ain’t a good idea. the staff at reception were great and helpful. The room however looks dated with "old" looking toilet and old looking dining set. Centrally controlled ventilation which requires a few adjustments throughout the day and evening. Overall, facilities can be better. Location was great, rooms very spacious. could do with a spruce up but still clean and comfortable. Staff were very hospitable and positive, Enjoyed the service and attention which is not typical of apartment style hotels. I stayed in the loft room for 3 nights. This is accessed via the back and up stairs (no lift). This room was massive and very well priced due to the access which posed no problem or inconvenience to me. It did provide a much more private stay. Everything in the room was great and the staff were super helpful! Wonderful place to stay and put up in town. It's located along the free-tram zone, and the unit i took is relatively spacious. Overall, I totally enjoyed my stay. Unfortunately, free-wifi was really limited, and the housekeeping services can be managed better. bringing my kids to Melbourne for the first time required that we would be near all the tourist areas. 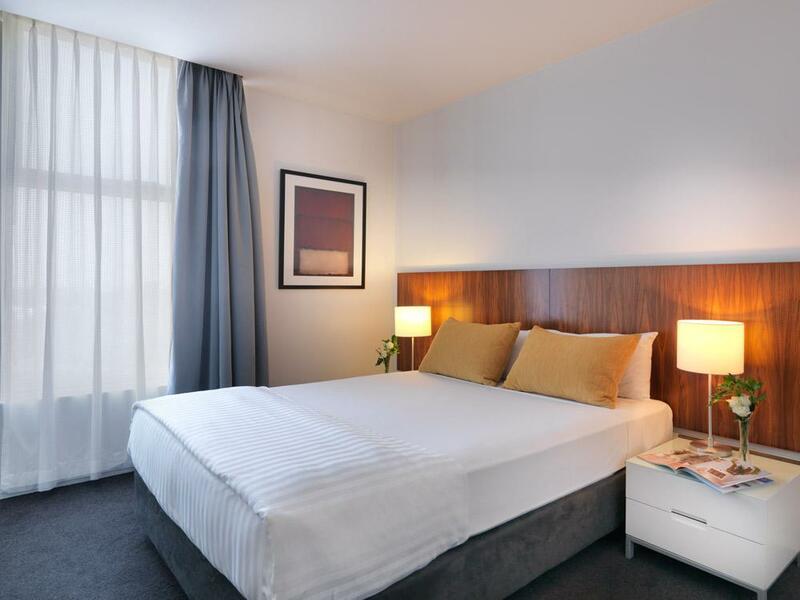 The Adina apartment hotel at flinders is just across federation square ... the starting point for about all the tour operators and packages you will find. As most of the great things to do in Melbourne are located OUTSIDE of Melbourne, almost all tours require an early morning meet-up at Federation square. 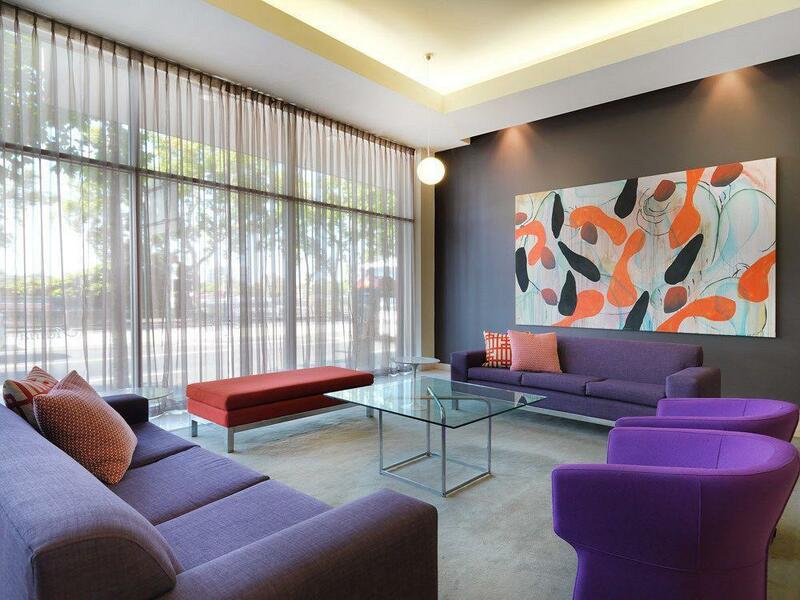 So with my young kids in tow, adina apartments at flinders did not disappoint. It was a very good service apartment! 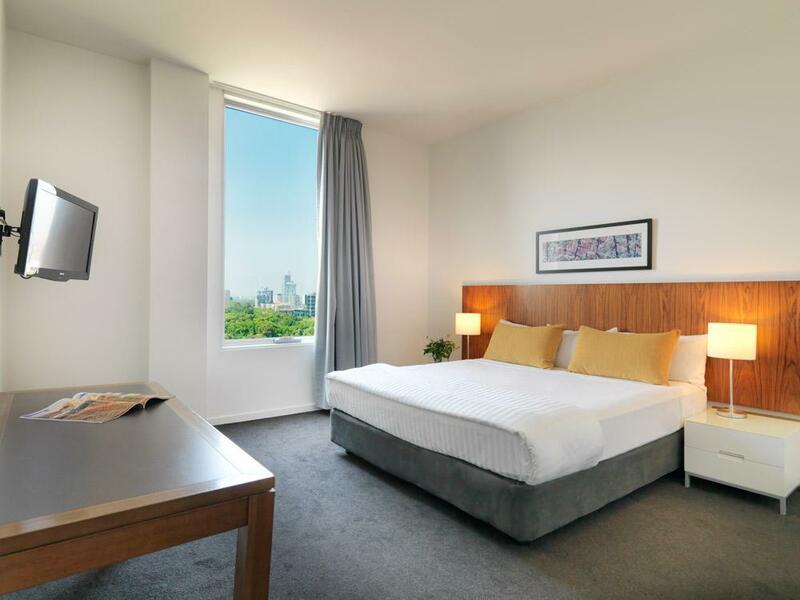 Location is ideal, there's a free melbourne city centre tram just across the hotel. Facilities in the apartment is good, there's even a mini gym in it. They have everything you need to cook in the kitchen. This blew us away... The two-bedroom apartment is MASSIVE. You can live comfortably for short and long stays and never feel cramped. Reasonably priced minibar. There's a servicable gym, and you're just a short walk from Swanston Street and Flinders St Station. A must-stay. Great. Booked here as I was moving in a couple buildings down. Staff couldn't have been friendlier - even lending me the hotel luggage trolley to move my apartment shopping from the car park. Thank you Adina! The reception staff name Don was very helpful and we are really happy with his hospitality. The location of the apartment is startegic... near to the tram station. The room is spacious. The facilities works well except the kitchen hob. The hob so dirty and not function. The housekeeping... they only change the towels and make up the bed. They didn't vacuum the carpet. The carpet was dirty. 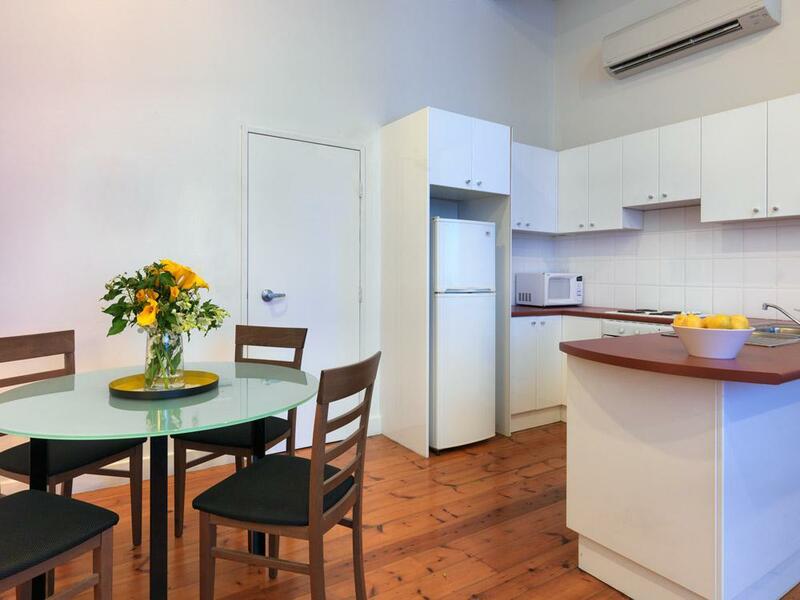 good location, near flinder station, clean and nice staff. near flinder station, clean and nice staff. We stayed here before and this stay was equally pleasant. Biggest plus is the location as we were traveling with young children. 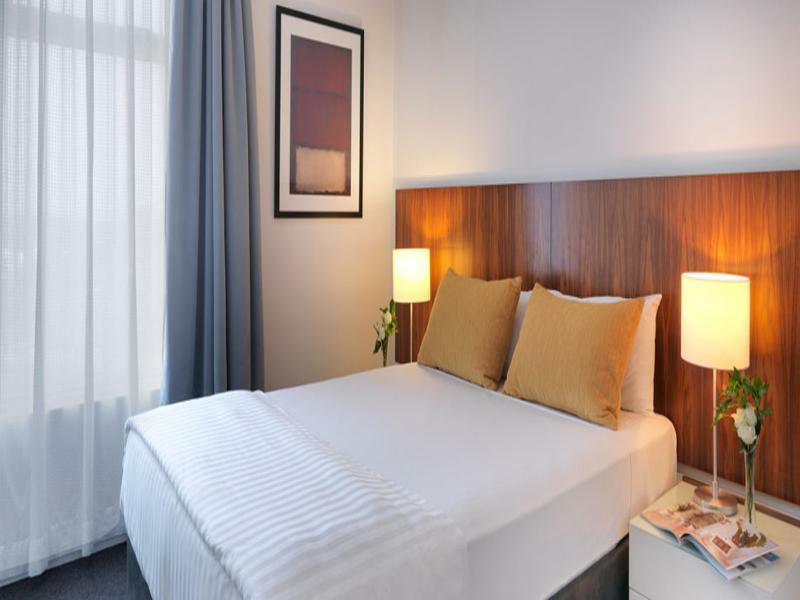 All the attractions in the CBD are within walking distance. Facilities in the room were superb with new washing machine and dryer and a full kitchen facilities provided. Really enjoyed our stay again. Cheers. Adina is located right opposite the Federation Square. 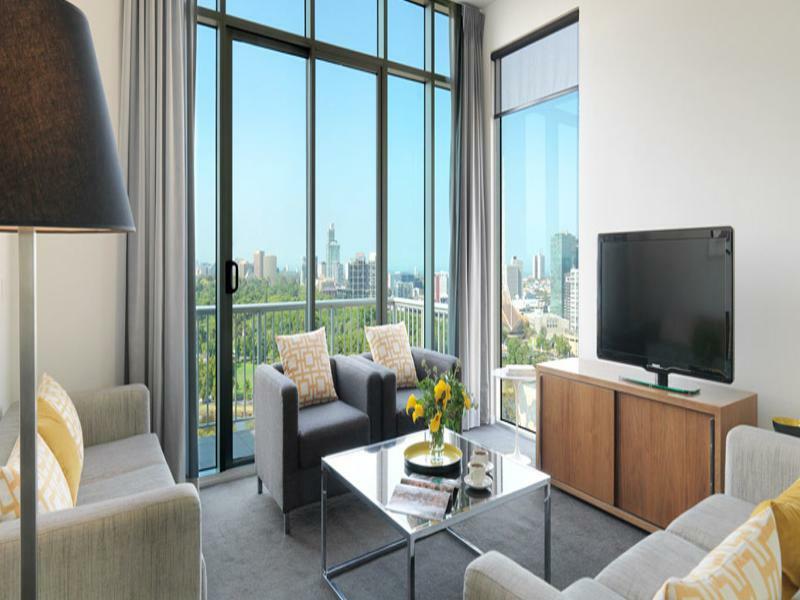 Is really good for those who traveling with young children and intend to book your own day tour as most of the pick up point are located at Federation Sq and outside St. Paul's Cathedral which is just 5mins walk away from the apartment. Basically the location is so convenient that we can walk to South Bank, Chinatown and high end boutiques are just 3 streets away! CBD Free Tram is just right in-front of the building, you can hop on n off free within the Free Zone. Walking distance to Fitzroy Garden for Cook's Cottage. Staffs were very helpful and friendly. Apartment are very well equip with Washer/Dryer, Kitchen Utensils and there is a convenient store just next to the apartment entrance too! I'll definitely stay with them when I'm back to Mel again! Easy parking, great location and helpful staff - wonderful. 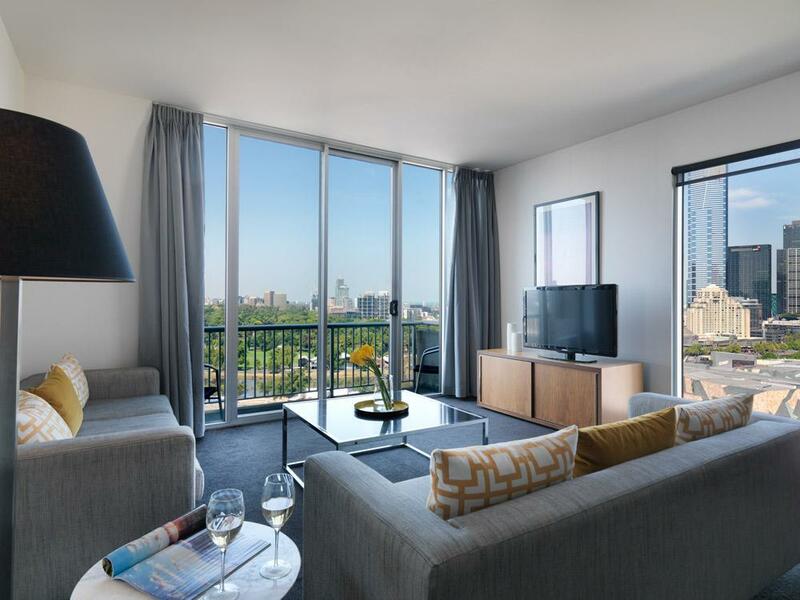 This time we used our Adina apartment as a home away from home as we had four guests with diverse events in the city. An easy drop in for friends (with entertaining a breeze due to the convenience store and wine shop just downstairs), a safe and quick walk to the Rod Laver Stadium for a woman walking alone at night, two difference shifts of room service from the fantastic Terra Rosa restaurant, a brilliant upgrade that gave us separate living and working space, affordable in-city parking - and an in-room laundry so that I could remove that make up stain on my favourite shirt. Adina on Flinders - you spoil us!